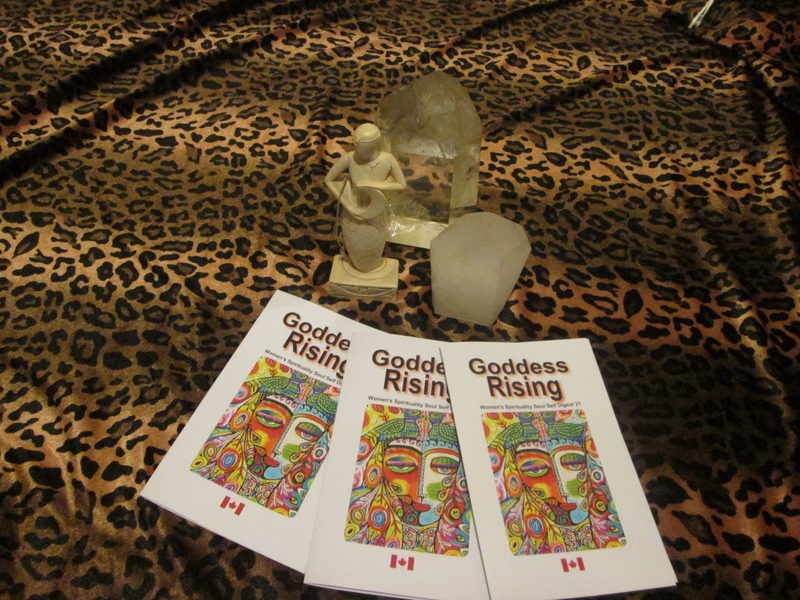 GODDESS RISING MAGAZINE IS PUBLISHED 4 times a year..with a surprise theme issue ! that can arrive at any time to inspire and juice up your week. Goddess Rising mag is really a digest,a journal..a coloring collage book..FILLED with women's spirituality articles..columns,images. .feature Goddess..rituals..reviews..HERstory and issues pretaining to women's spirit. We are the most Northerly GODDESS mag in the world and circulate in 16 countries.